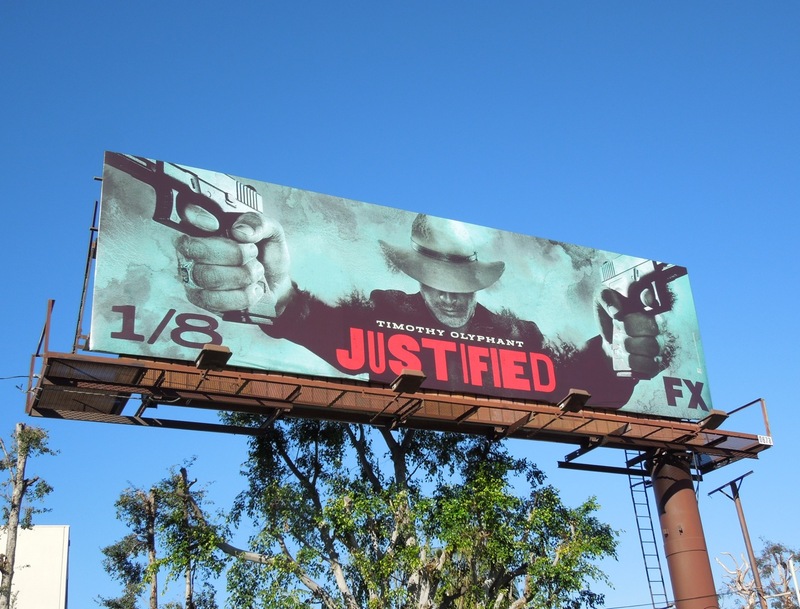 Justified is back and for a change 'Deputy U.S. 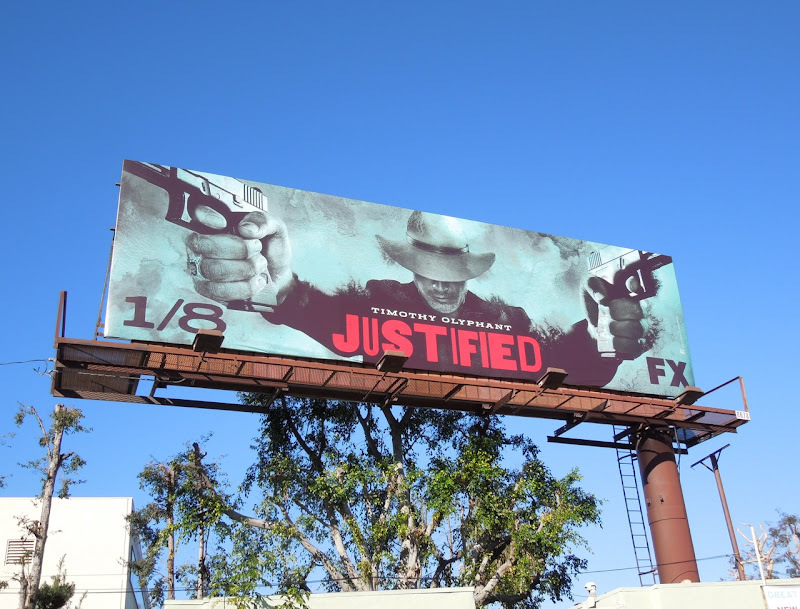 Marshal Raylan Givens' is sporting a touch of colour for the fourth season of the series based on the crime novels of Elmore Leonard. 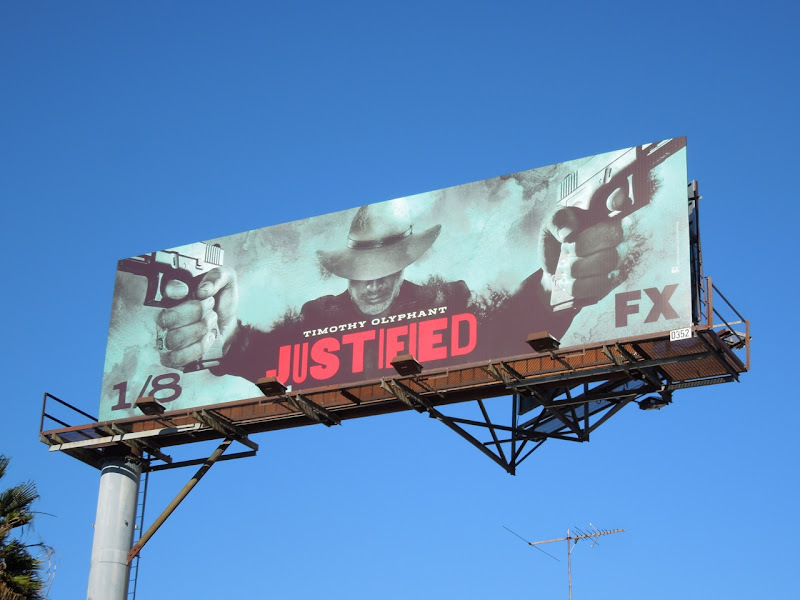 This season Raylan will investigate a cold case from his childhood involving his criminal father which should make for some interesting times in Kentucky. 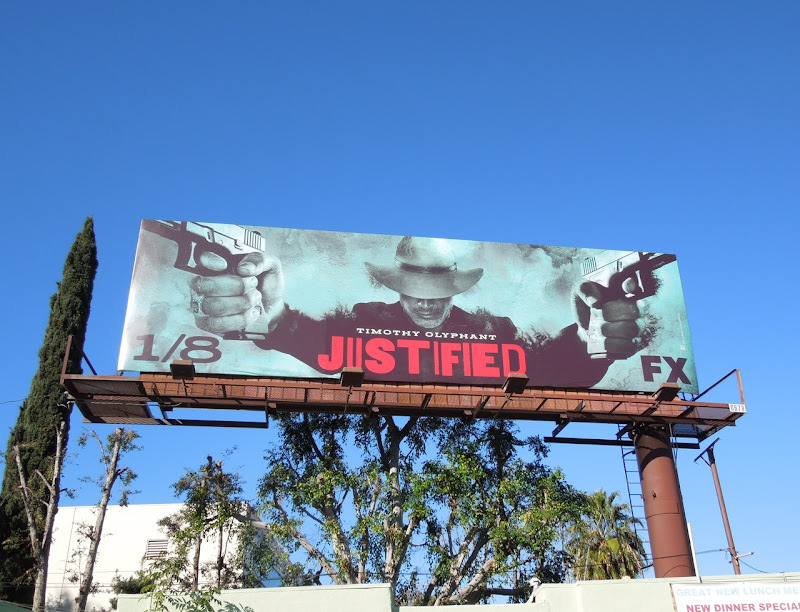 If you're a fan of the show, be sure to check out these billboards for season one to three of Justified. 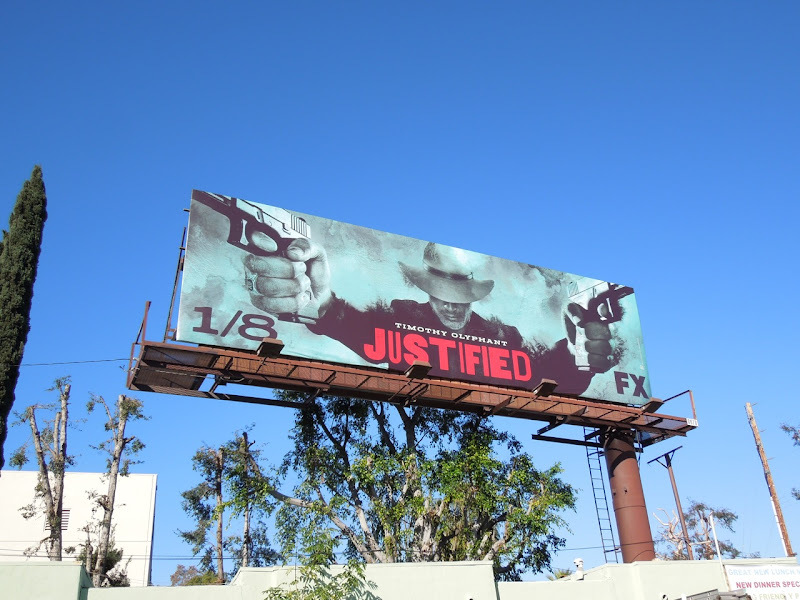 This cool Western style TV billboard was snapped along Ventura Boulevard in Studio City on December 19, 2012. 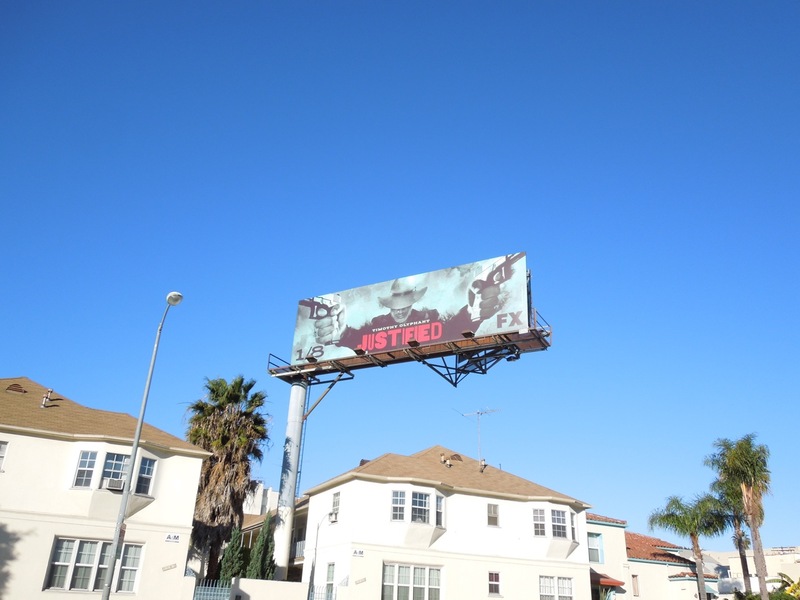 UPDATED: Here's the striking billboard in another location, this time snapped along La Cienega Boulevard on January 11, 2013.